Although it is currently raining here in the East Bay there was a little bit of sunshine with respect to a rise in the median home price in Blackhawk this year versus last. Median prices rose a little over five percent for the first nine months. Marketing time is basically the same while the number of homes sold this year were down by fourteen. As with Alamo it is hard to make any comparisons in the attached home market since there is just not enough data. Not represented in the data are several estates which sold over the last year and a half. The list prices for these was greater than $4,500,000 and the sales prices were either withheld or reported at $1. 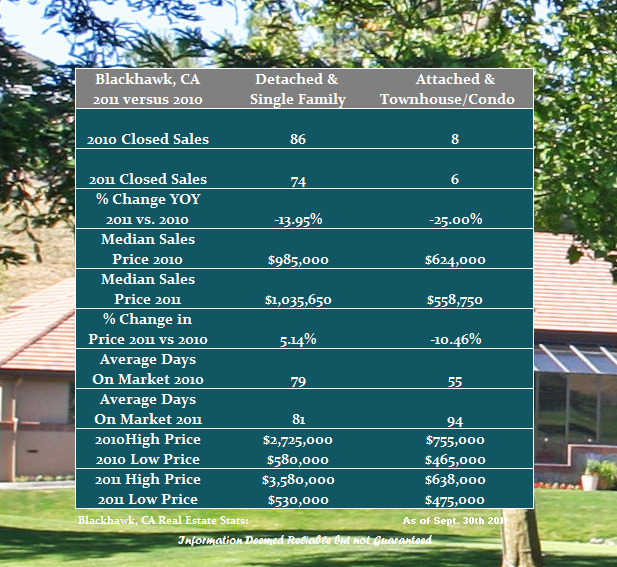 Share the post "Blackhawk Year over Year Real Estate Performance Through September"